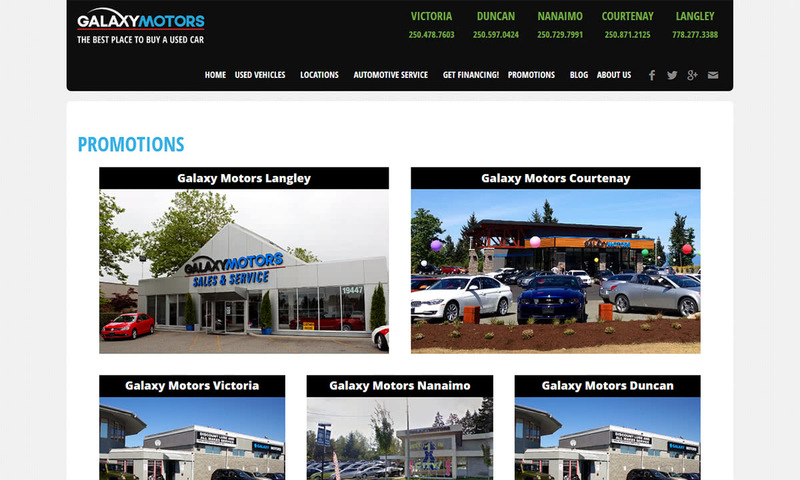 Galaxy Motors’ 4 dealerships proudly offer the largest selection of used vehicles throughout Vancouver Island, now spanning across to the lower mainland. 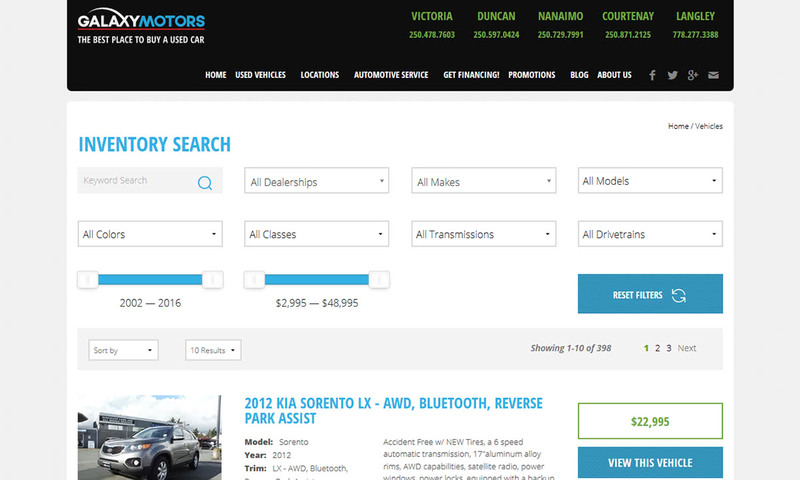 Their inventory is comprised of vehicles within the first 10 model years, and rarely exceeds 150,000 kms. With over 700 vehicles in stock between their 5 locations, and choices in model year and colour, selection is what really sets them apart. They offer award-winning customer service, as well as competitive automotive financing featuring a low 3.99% APR. 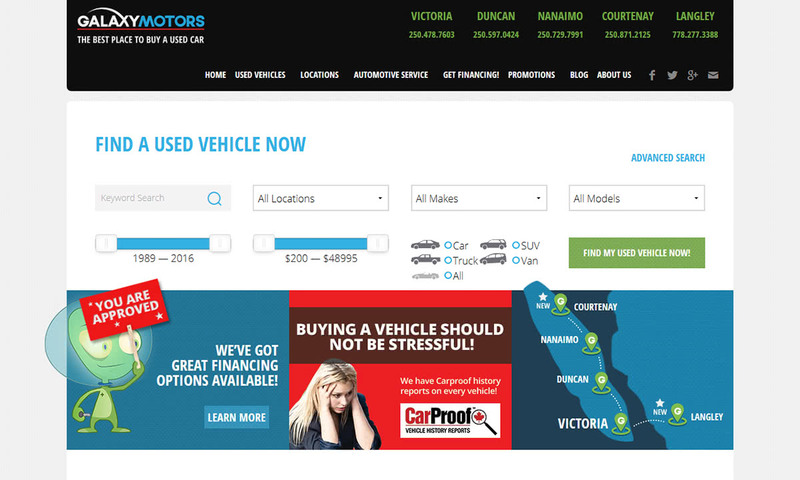 They offer flexible options for individuals with damaged or bad credit, and have a reputation as Vancouver Island’s #1 used car dealership in customer satisfaction. They also give back to their communities, hosting regular charity-based events including food drives, holiday hampers, World Vision Canada child sponsorships, vehicles donations for families in need, and more. I've worked closely with Caorda for years now. Very solid team, they can handle almost any project I send their way. Even if its new territory for them, they find out what they need to know fairly quickly and implement it into their task list.